The UK's biggest celebration of our favourite sweet treat returns to Olympia London for its fifth year. Elevating chocolate to an artform, the Choco l'ART gallery is a big draw at The Chocolate Show this year. Classic art pieces like the Mona Lisa, Banksy's Balloon Girl, Starry Night by Van Gogh, The Kiss by Gustav Klint and The Scream by Edvard Munch have all been made out of chocolate. Nadiya Hussain and John Whaite are among the celebrity chefs celebrating the sweet stuff. 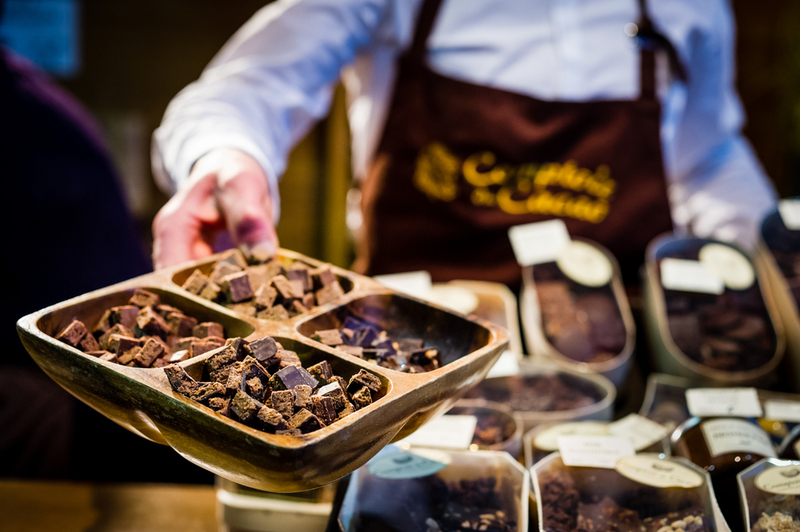 With masterclasses, tastings and top chocolatiers like Hotel Chocolat, Lauden, Guittard Chocolate, Bad Brownie Co, Beau Cacao, Akesson's and Rococo all taking part, you can indulge your love of chocolate and find out who'll win the Chocolate Dessert of the Year. What are the best dining options near The Chocolate Show London? The Chocolate Show gyms, sporting activities, health & beauty and fitness. The best pubs near London The Chocolate Show. The Chocolate Show clubs, bars, cabaret nights, casinos and interesting nightlife. Where to have your meeting, conference, exhibition, private dining or training course near The Chocolate Show. The guitarist and singer-songwriter, known as the lead singer of 1990s band The Verve, performs solo alternative-rock material. The official exhibition of the Channel 4 TV show is the perfect place to help guide you through the buying process and find your ideal property abroad. From cheap budget places to stay to luxury 5 star hotels see our deals for Olympia Exhibition Centre hotels, including K West Hotel & Spa London from 91% off.